Douglas T. Kans is a former prosecutor who exclusively devotes his legal practice to DWI and Criminal Defense cases in the Twin Cities and greater Minneapolis, Minnesota area. With over 20 years of experience in the legal field, Attorney Douglas T. Kans has successfully defended thousands of criminal cases. 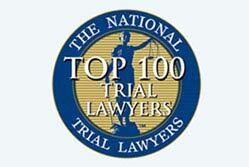 Douglas was selected by Minnesota Law & Politics Magazine as “Who’s Who in Criminal Defense”, was also named by The National Trial Lawyers Association to be among Top 100 Trial Lawyers, and was rated “Superb” by AVVO, the independent attorney review site. The media also repeatedly interviews him for his legal opinion and analysis on certain issues. 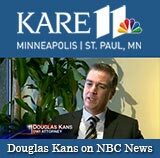 Douglas is licensed in both State and Federal Court, and is currently a member of the National College for DUI Defense, the National Association of Criminal Defense Lawyers, and the Minnesota State Bar Association. 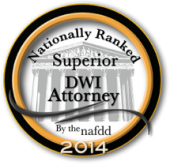 Why Choose Douglas T. Kans For Your Criminal or DUI Defense? 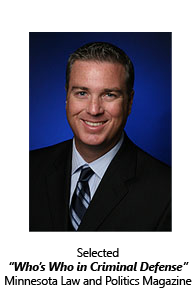 20+ years of experience and has successfully defended thousands of criminal and DWI charges. But most importantly The Kans Law Firm works hard to get results! 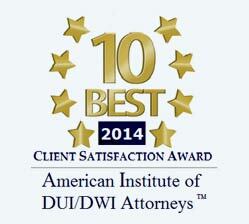 DWI is among the most commonly committed crimes when it comes to criminal law. Of course, an individual charged with DWI isn’t automatically considered to be a bad person; it simply means that he or she made a bad decision. Kans Law Firm concentrates in the area of Criminal Defense, particularly those related to drunk driving or driving while impaired (DUIs and DWIs). Led by Douglas T. Kans, our law firm works closely with our clients to thoroughly investigate the charges made against them and unravel all relevant facts so we can provide an aggressive and effective criminal defense that will protect our clients’ rights and ensure that they are not violated. We utilize cost-effective methods and state-of-the-art technology in order to provide legal services in a timely, client-oriented environment. At Kans Law Firm, our people understand that the trial process can be a difficult one, and so our legal team is comprised of experienced and knowledgeable Criminal Defense attorneys that understand Minnesota’s criminal justice system. We will work tirelessly to achieve the best possible results for our clients, whether they are lesser penalties, an acquittal, or a complete dismissal of charges. Under Minnesota law, the consequences of a DWI can be very severe, and such charge must be taken very seriously. 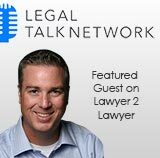 If you’ve been charged with DUI or DWI in the state of Minnesota, you need to know that there’s a lot of stake, such as your driver’s license, your job, and even your future. At this point, the most important decision you’ll need to make is your choice of attorney, because the person you select to represent can greatly impact the outcome of your case. 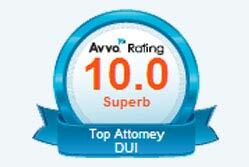 It is crucial, therefore, that you seek the legal assistance of a competent DWI / DUI lawyer. Although located in Hennepin County, Minnesota, the Kans Law Firm provides DWI and criminal defense services to clients from the entire Twin Cities of Minneapolis, St. Paul, and surrounding areas. This includes Dakota County, Carver County, Scott County, Anoka County, Washington County and the cities of Edina, Burnsville, Chaska, Eagan, Minnetonka and Bloomington just to name a few. 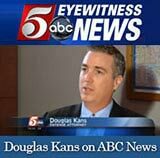 For a Free Consultation call Minneapolis DWI lawyer Douglas T. Kans of the Kans Law firm at (952) 835-6314 or 1-888-972-6060.